Saturday I received a truck load of mulch. 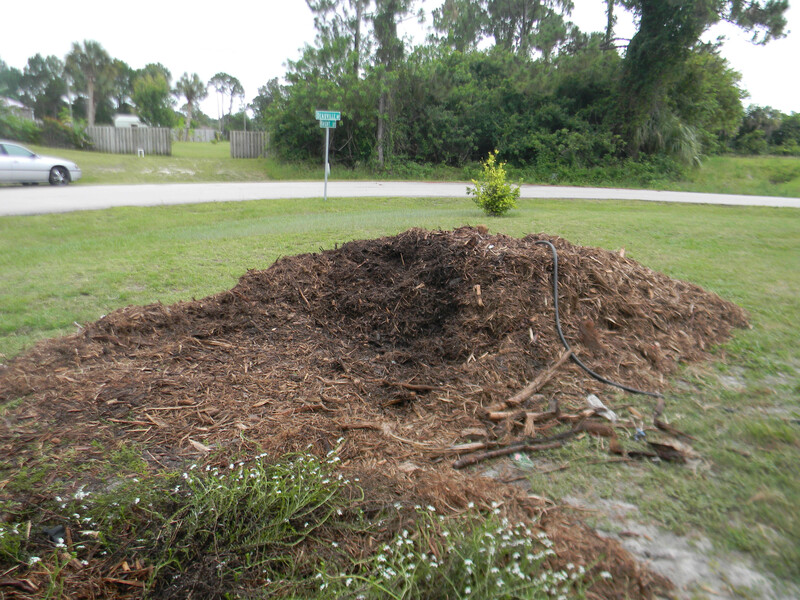 The pile is about 3′ high by 12′ long by about 4′ wide. 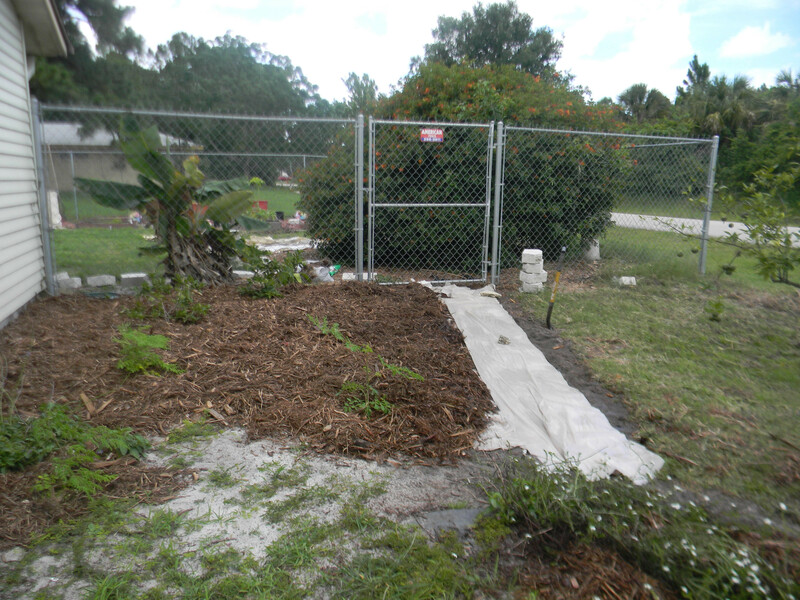 This is a very thick mulch and I wasn’t able to use it for gardening so I decided to use it as a ground cover in an area that has some moringas, a citrus tree and 2 guavas. This is turing out to be a HUGE job. I worked for over 10 hours already. I put three layers of news paper down, wet it and then covered with mulch. I got this idea from watching “Back to Eden” which is a GREAT video on sustainable gardening. 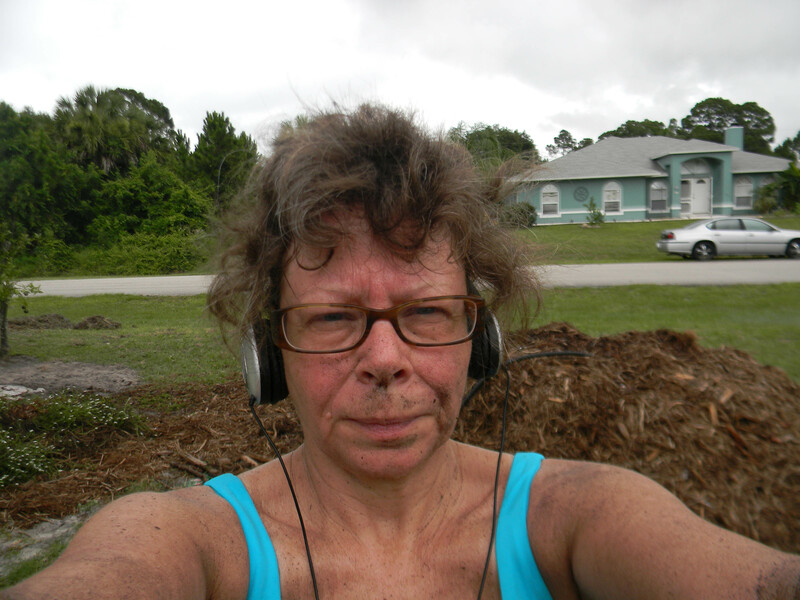 Working in sand is no fun as you can see but the mulch pile is going down. I would really like my whole yard to be covered with mulch as all of grass died several year ago. Anyone want to come help? 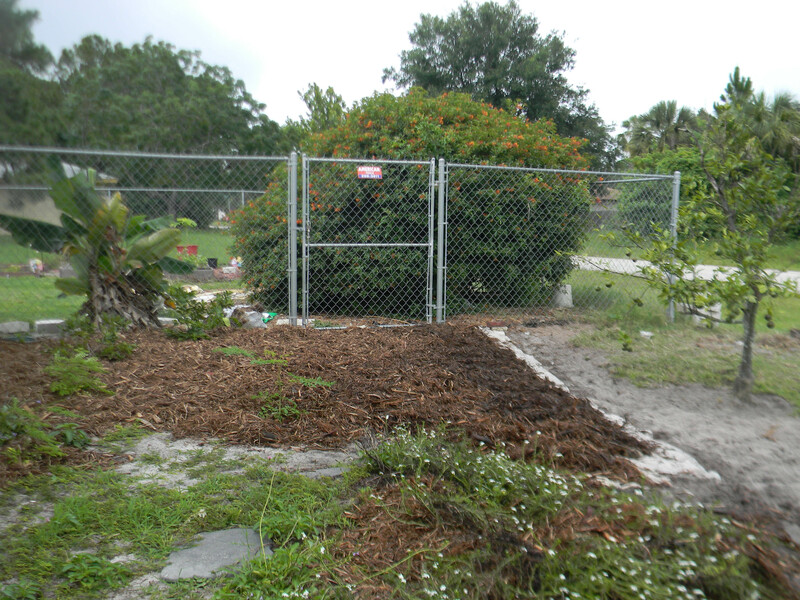 This entry was posted in Gardening, Posts and tagged mulch, sustainable gardening. Bookmark the permalink. 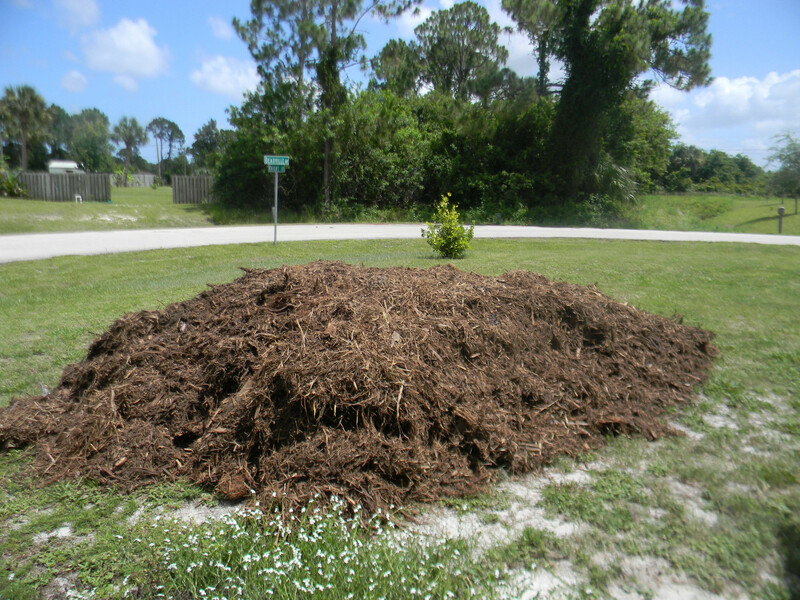 Where in the world did you get all that mulch and why so much? It was to do the sustainable gardening but the friend brought the thick mulch. 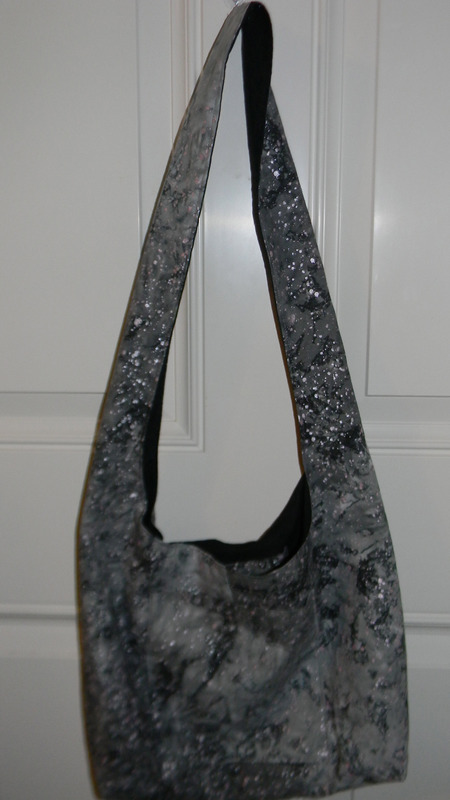 It came from the county landfill. As I am spending time working I get to pray and talk with Yehovah a lot and I know there is a reason behind all this. I hope so. You want to come help, lol. You REALLY don’t want to come now with TS Debbie churning up. We are supposed to have rain for 5 days. Flooding will be likelly. I hope your property is spared. Will be thinking of you.